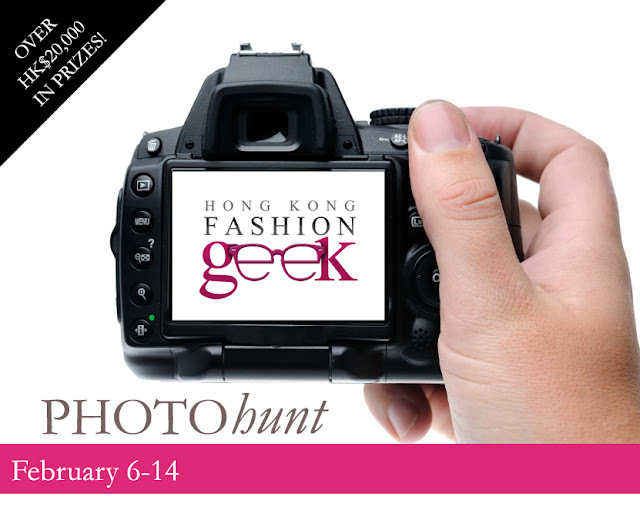 We know you've been looking for a good enough excuse to get your butts off the couch and get a bit of exercise in, but there aren't any sample sales to motivate you... so instead, how about taking part in the 2012 Hong Kong Fashion Geek Photo Hunt? Last year we had a phenomenal response, so we decided this year (because we're masochists who like to give ourselves more work) as part of our commitment to Social Media Week, we'd reprise the competition. 1. 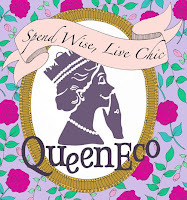 Visit hkfashiongeek.com on or after February 6 for the list of clues. 2. Travel to the participating stores and photograph the chosen items. 3. Email entries to photohunt@hkfashiongeek.com. Please caption your photo with its brand name and/or item name for verification, as well as your own name. You may email entries separately or all at once. Photos will be uploaded onto our Facebook page. 4. One bonus clue will be offered during the competition period, so check back to get that final clue, which may be instrumental in the event that more than one contestant achieves all seeded clues. Also, be sure to get your friends to rally for you by showing you love on the photos uploaded as that may also be a tipping factor if everyone gets clues and bonus clue! Although of course, we will also have some say on the final winners by judging your photography technical ability. 5. The person with the most items uploaded for contest period (February 6 to February 14) wins. In the event of a tie, see point 4 which will make or break your win! Of course, what's the point of a competition without fabulous prizes? Here's what's in store for the winners. - A Shanghai Tang Dragon wine glass set (including four wine glasses) and Dragon fine bone China dinner-plate set (including three plates), valued at $4,720. - A Longchamp handbag courtesy of Harbour City, valued at $3,300. - A pair of jeans from 7 for All Mankind, valued at $3,000 or less. - A pearl necklace from Susan Sng Collection, valued at $1,500. - A compact Clarisonic Mia Sonic Cleansing System, valued at HK$1,400. - A voucher for four sessions of salt therapy at Inhalo salt spa to share with three friends, valued at HK$1,200. - A gift voucher from Flaunt Boutique and a complimentary bra fitting, valued at $1,000. - A PLAY mini recorder courtesy of Lane Crawford, valued at HK$500. - A pair of jeans from 7 for All Mankind, valued at $2,500 or less. - A Dooney & Burke Stripes Lambskin Orange Pink O Ring bag, valued at $2,330. - A watch and jewellery set from Italian watch and accessories brand OPS! Objects, including two Flat watches, a Love bracelet and a Forever ring, valued at $1,200. - A gift voucher from Jack Wills, valued at $1,000. - A gift voucher from Alexandre Zouari, valued at $1,000. - A gift voucher from Alexa & Todd, valued at $1,000. - A pair of jeans from 7 for All Mankind, valued at $2,000 or less. - A Chapman belt bag in khaki or navy, valued at SG$150, and a gift voucher for Doorstep Luxury, valued at SG$150. - A Havianas set of limited-edition his and hers Valentine’s 2012 Havianas, valued at HK$680, and a gift voucher for havianashkcom, valued at HK$400. The clues are up here! About point 1, what kind of clues do you mean? Advertised clues or what? and for point 4, do you mean having our friends to like our photos will be a tipping point to win? The clues will be items to photograph in shops around Hong Kong -- so on February 6, we will release the list of where to go and what to photograph. For point 4, there will be ONE bonus clue offered after the competition starts, judged by us Geeks based on number of likes and the quality of the photo. So "Likes" will help, but won't be the absolute determining factor. Some shops/malls like @HKHarbourCity are notorious for like shooting down people who photograph... so dont be obvious! LOL its difficult being a blogger at that mall!